Here’s a quick look at three fresh projects that have come off the press recently. More details will be in the Work section of the site soon. Coastal Times has been a familiar piece to guests at The Homestead for years, handed out upon check-in. The quick guide to the grounds and events had been produced in-house, but the time came for a more professional look. 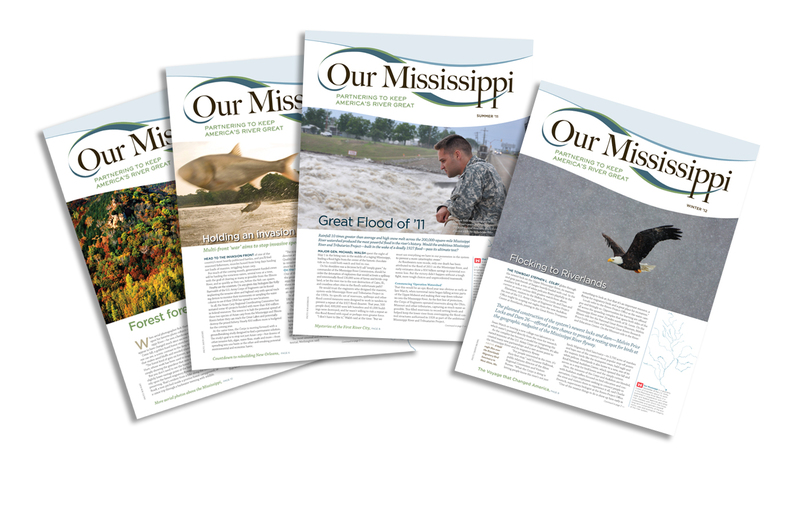 I redesigned it and gave it a new masthead that ties with their existing resort logo. The piece is now an oversized tri-fold. Printed by Mitchell Graphics. 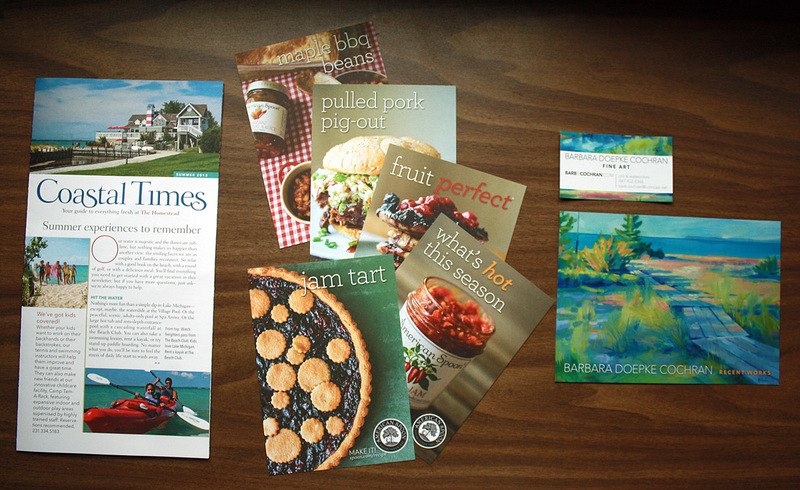 I also had the pleasure of expanding the collection of recipe cards I had already designed for American Spoon. The new cards feature some new creations and some old favorites from their extensive collection of original recipes. You’ll find them in berry boxes amongst the shelves in their stores. If you haven’t tried their new Chili Jam, take some advice from a former sriracha lover and buy it now at one of their stores or order it online. Printed by Mitchell Graphics. One of my favorite recent projects was this postcard and business card for local artist Barbara Doepke Cochran. She’s hanging her first show in years on August 10 at the Glen Arbor Art Association. I developed a minimal look that lets her work be the focus. One set of postcards promotes the show, and another set with a simple back side will serve as her personal notecards. Barb’s work is loose and painterly, with a suprising but harmonious sense of color. Find more details about the show here. Printed by Kwik Print of Traverse City. That’s not all I’ve been working on. Soon to show up in the portfolio: a furniture catalog, real estate promotional pieces, a logo for a nonprofit, and more.